This week I shared this remarkable post on my Facebook page. Wow. I will never look at a semi-colon the same ever again. I’ve been at the place the author has. A place where I had to make the decision to keep going. So I can see exactly how the semi-colon can be a hugely powerful totem for those whom it is a daily battle to keep their feet here on earth. But, now that I am far beyond that point in my life; now that I’ve found my way to living A Life Less Frantic, I can see how the semi-colon is a powerful reminder for this way of life as well. 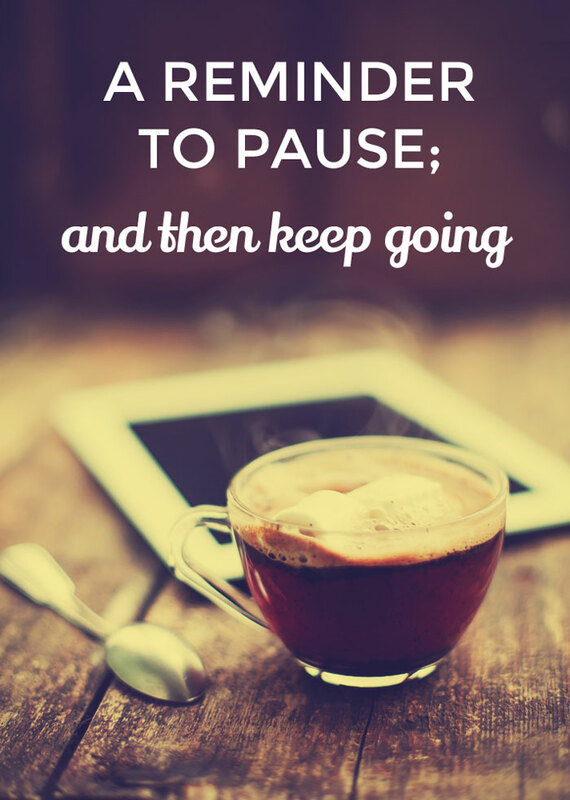 If there is an act I do daily, an act that underlines all my philosophies around living a less frantic life, it is ensuring I take the time to consciously PAUSE (and breathe)… and then keep going. Now, I’m super-conscious of borrowing someone else’s powerful symbolism for my own needs. But up to this point in my life, I’ve never once considered getting a tattoo. I am totally considering it now however. 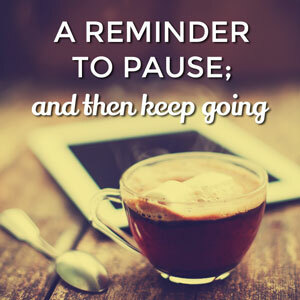 Do you have a symbol or an item you use as a reminder or a mantra for your life?